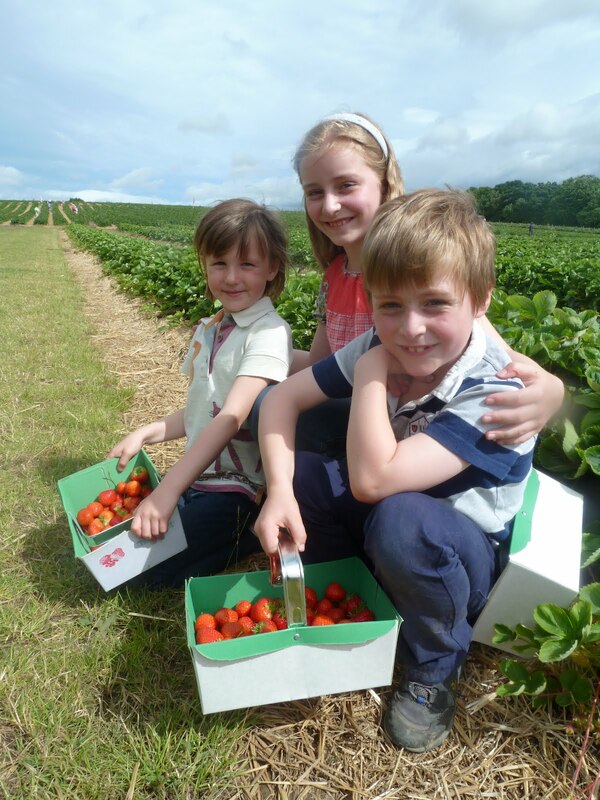 As the plum and blackberry season arrives at Brocksbushes Farm Shop in Northumberland, a bumper strawberry season has given some of the most succulent freshly grown pick-your-own seasons ever. Caroline Dickinson, owner at Brocksbushes, just 15 minutes from Newcastle on the A69, explains: "Here at Brocksbushes we've got some of the best fresh fruit in Northumberland, and everyone is being invited to make the most of these juicy pick-your-own fruits. "Enjoying the taste of fruit grown in the fresh air is a simple, but wonderful pleasure. There is no finer taste than a blackberry or strawberry picked fresh from the field, and you can also taste before you buy! We grow real, old-fashioned blackberries and strawberries for their taste, not for their shelf life. "We still get many visitors who say they can remember coming to Brocksbushes years ago with their mum and dad for the pick-your-own, and now they can enjoy bringing their own families. "We've seen an increased interest in pick-your-own after more people look to buy locally sourced fresh produce  especially pure, healthy, freshly picked fruit  whilst relishing the excise and having fun  its children, especially, who delight in being let loose in a field of strawberries." Along with other succulent soft summer fruits, the strawberries and gooseberries are just ripe for the picking, red and blackcurrants also ready to pick, and the tayberries are just starting. Caroline says: "I think everybody is looking for value, and pick-your-own is precisely that. Many people are also turning to the kitchen to cook with fresh ingredients, enjoying the fragrance of freshly picked blackberries, strawberries or raspberries bubbling away in a pan on the stove top. Buying foods in-season is one of the easiest ways to save money, and pick-your-own also lets you truly appreciate its local provenance." Celebrating more than 30 years in business, the farm's pick-your-own fields have grown in size from a few acres to 35 acres of soft fruit. Caroline continues: "We've been waiting a long time on the Great British Summer. The blackberries, plums, strawberries and gooseberries are ripe and ready for the picking. The plants are looking really healthy, and we are very pleased." Brocksbushes also boasts a thriving farm shop selling and championing local produce, and a spacious tea room full of freshly baked scones, cakes and pies. The farm shop sells everything the would-be jam-maker needs from sugar to glass jars, pot covers and labels. Strawberries are selling at £3.94 a kilo, with gooseberries at £2.46 a kilo. Raspberries, blackberries and plums are also ready for picking. Entrance to Brocksbushes Farm Shop, tea rooms and parking is free, entrance to pick-your-own fruit fields and woodland walk is £1 per person, children go free. Please note a £1 refundable deposit is required on each PYO basket. Brocksbushes, located just outside Corbridge, Northumberland NE43 7UB , is open from 9.30am, the Tea Room closes at 5.30pm and the Farm Shop/PYO at 6pm. Photo l-r Molly Pigg, 6 years, Tatania Dickson, 9 years with Toby Dickson, 7 years.